Creating a positive environment, under-pinned by Christian values. 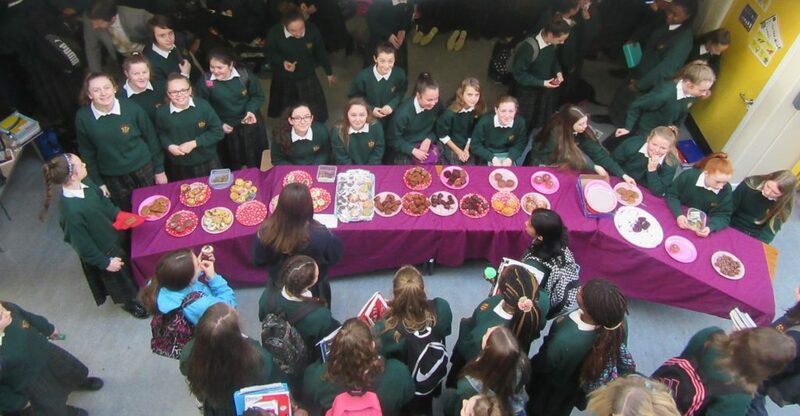 On Thursday, 15 December 2016 class 1S held a bake sale to raise funds for Loreto Rumbeck. Thirteen bakers made an assortment of cookies, cupcakes and brownies. 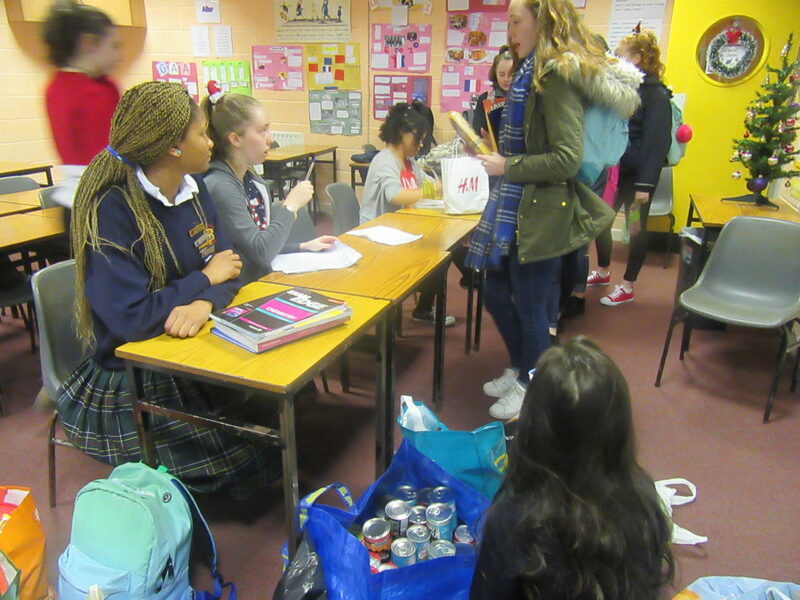 Thanks to all the students who organised, cleaned up and looked after the money and thanks to the many students who made a donation. 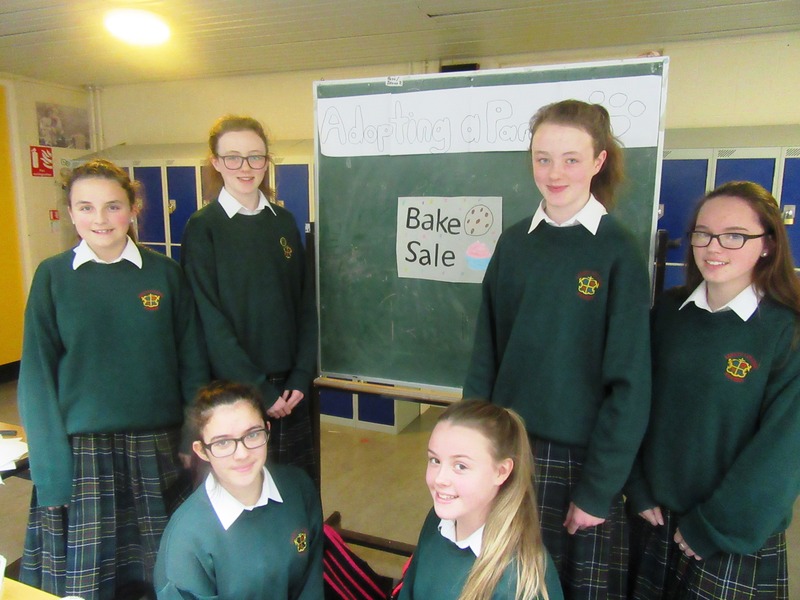 The sale was a big success and an impressive €160 was raised! 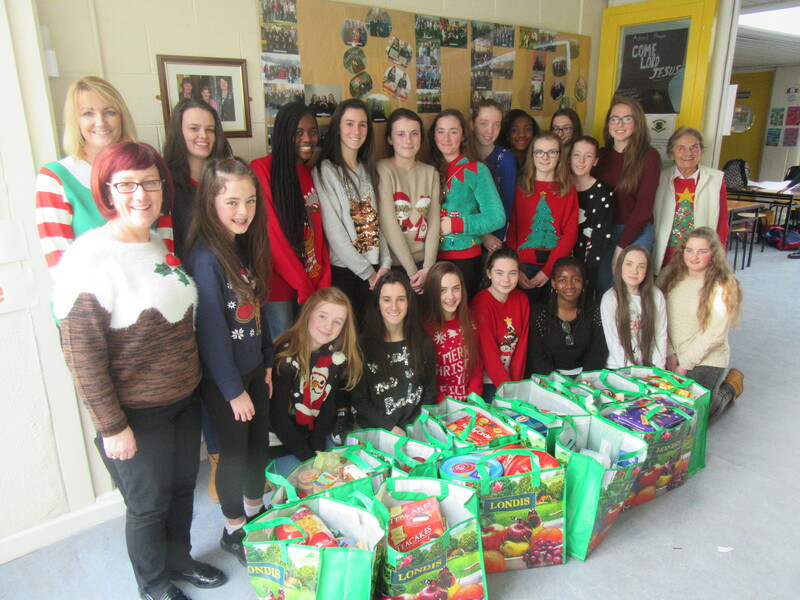 A Food Appeal was organised by the students for St. Vincent de Paul – many thanks to all the students who brought in items for the appeal during the week and a special thank you to Ms Theresa Sheelan and her group of students who are part of the St. Vincent de Paul group! 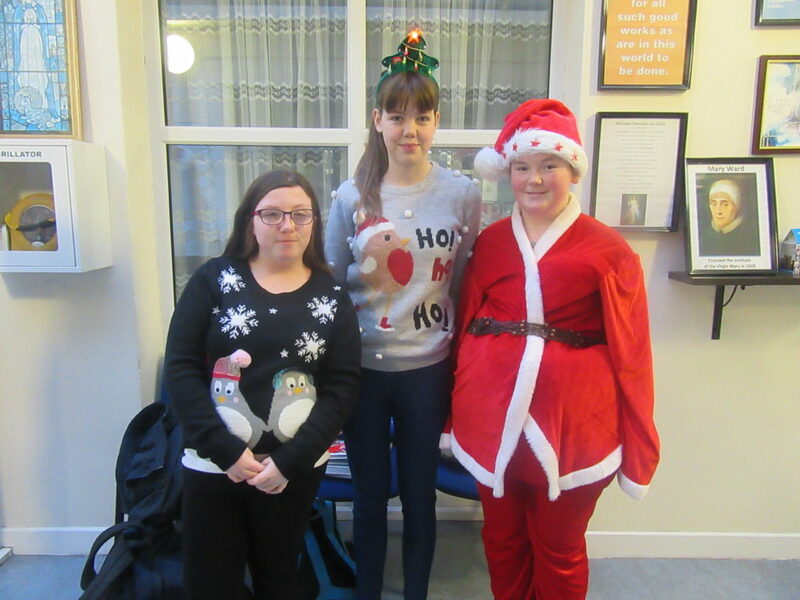 We also had our Annual Christmas Jumper Day on Friday, 16 December and students were asked to contribute €1 for Charity – thanks to everyone who made the day such a success. 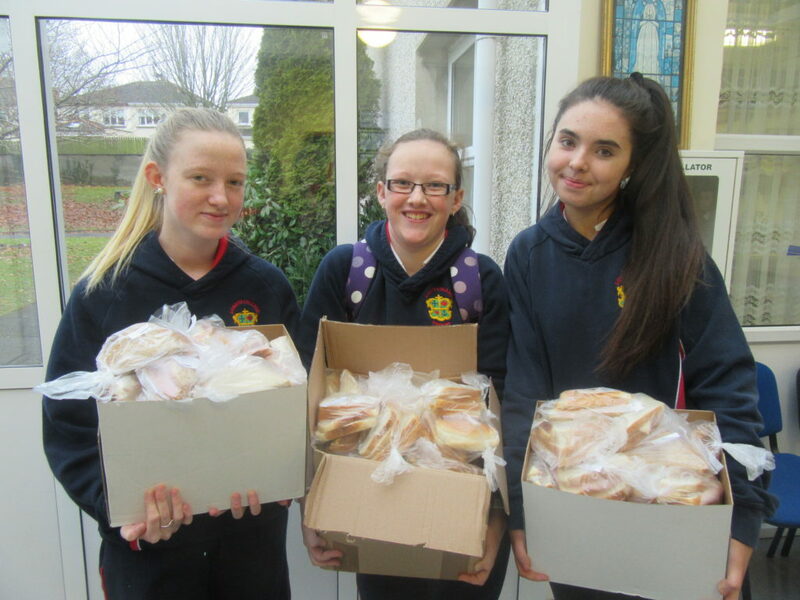 Class 4T organised sandwiches for the homeless with Ms Mary Gorman in December – below some of the students from 4T who helped out in making the sandwiches. On Tuesday, 18 October 2016 we were delighted to welcome Sr. Brigid Tunney to the school who gave a talk to the students on the wider Loreto Community. 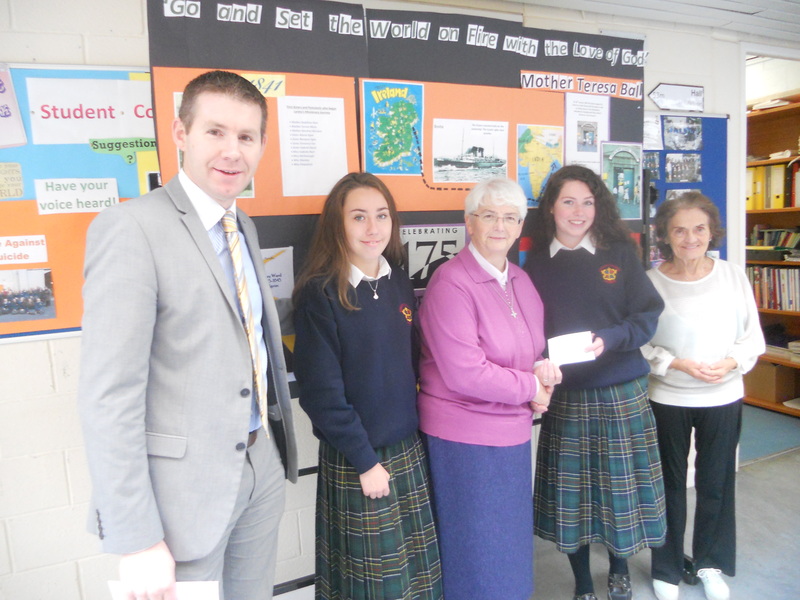 We recently held a non-uniform day and a cheque for €1,000 was presented to Sr. Brigid for Loreto Rumbeck. 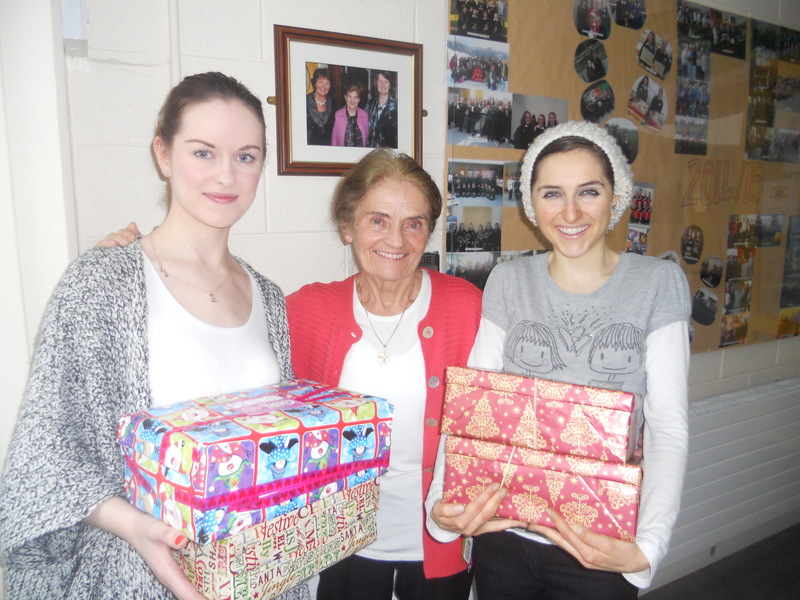 Students Held a Christmas Party for Members of the Local Senior Citizens Club on Friday, 18 December 2015- students provided entertainment and tea/cakes and made it a very festive occasion – thanks to Ms Theresa Sheelan for organising the event. 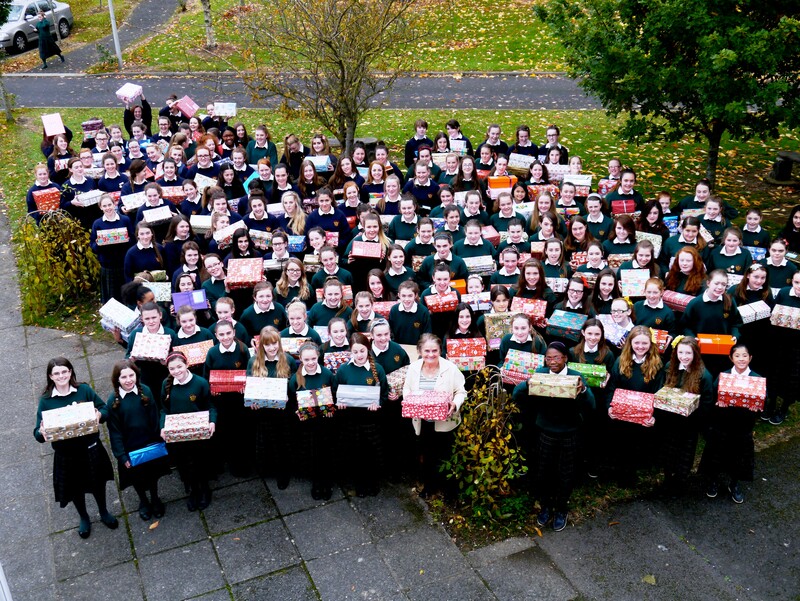 The Annual Show Box Appeal was organised by Ms Betty Cronin. Loreto Swords has a history of supporting this very worthwhile cause and we were delighted with the response we got this year! 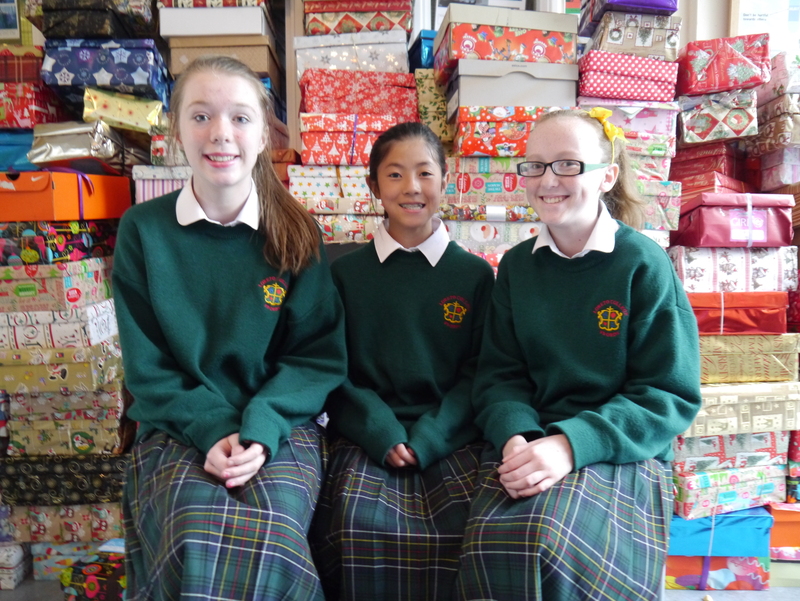 Below is two of our past pupils who still contribute to the Shoe Box Appeal year on year! 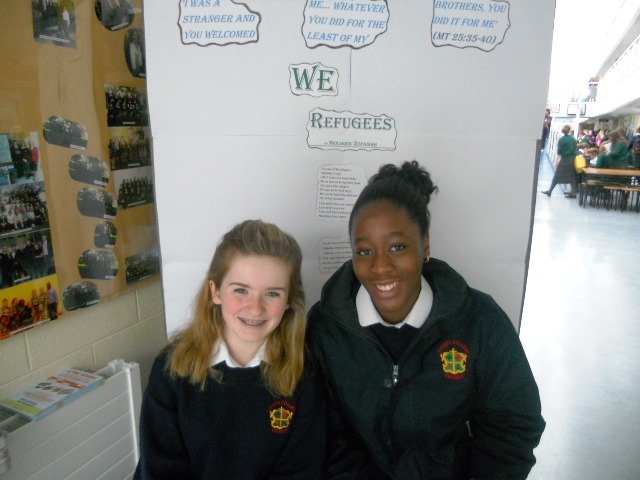 Trocaire – various fundraising events took place in the First Term of the Academic Year 2015/16 in aid of the recent Refugee Crisis – we were delighted to be able to present a cheque for €1,000 to Trocaire on Friday, 23 October 2015 – thanks to all our students and to Ms Theresa Sheelan for organising the fundraising over the course of the term. 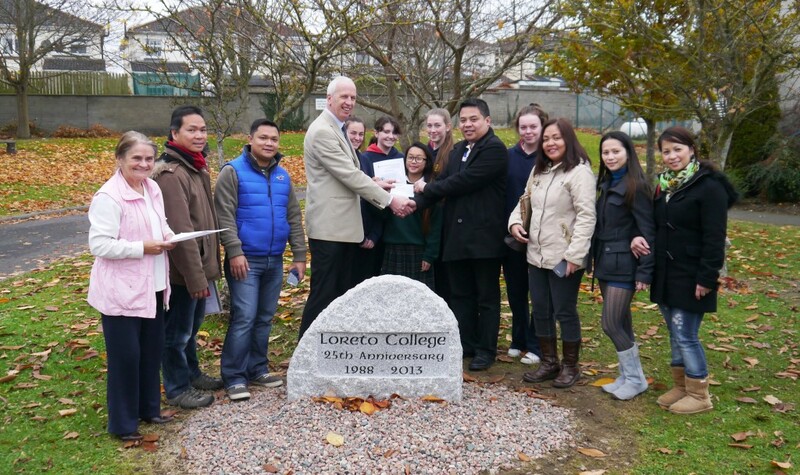 The students had a talk from Trocaire following the presentation of the cheque. 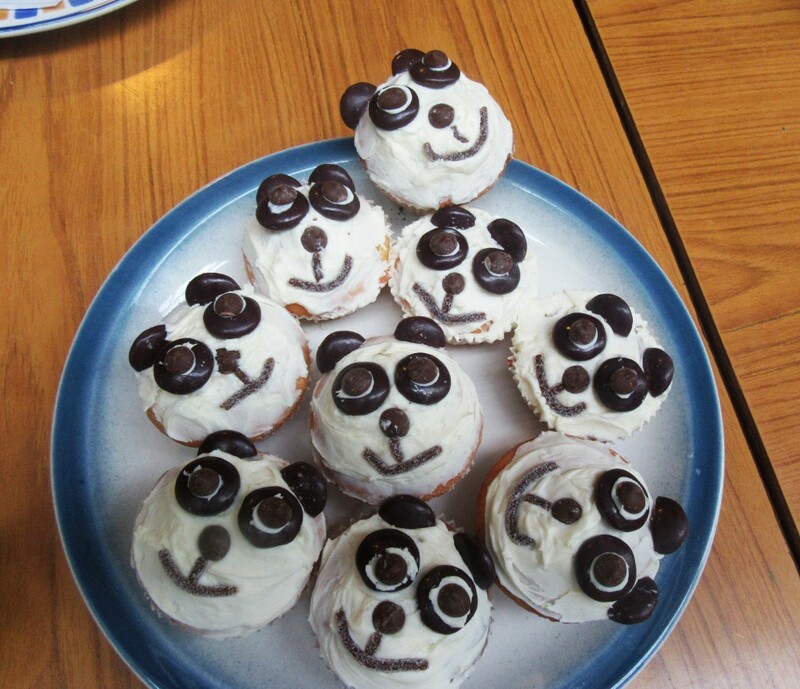 1S had a Cake Sale on Thursday, 7 May 2015 – delicious girls! 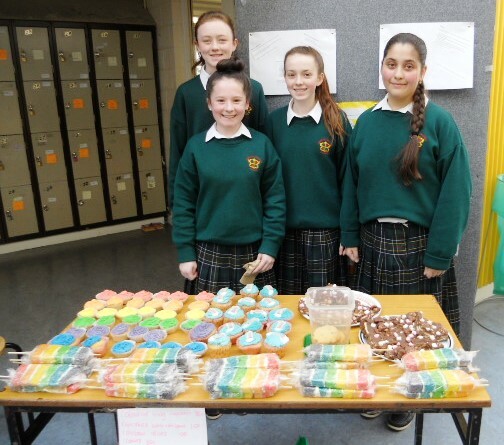 A Unicef Fundraiser was organised in April 2015 as part of the CSPE studies – well done to the students for all their hard work. 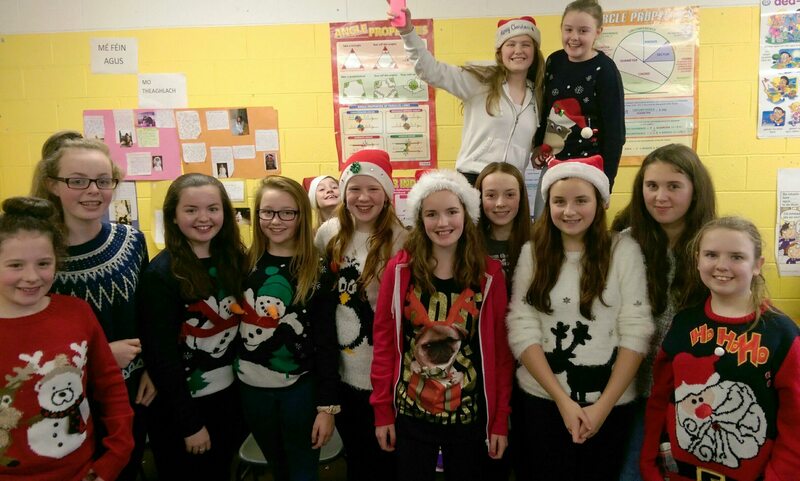 Christmas Jumper Day proved to be a fun activity for the girls as they got into the Christmas spirit and was also an opportunity to fundraise for Charity – this year St. Vincent de Paul was the nominated charity. 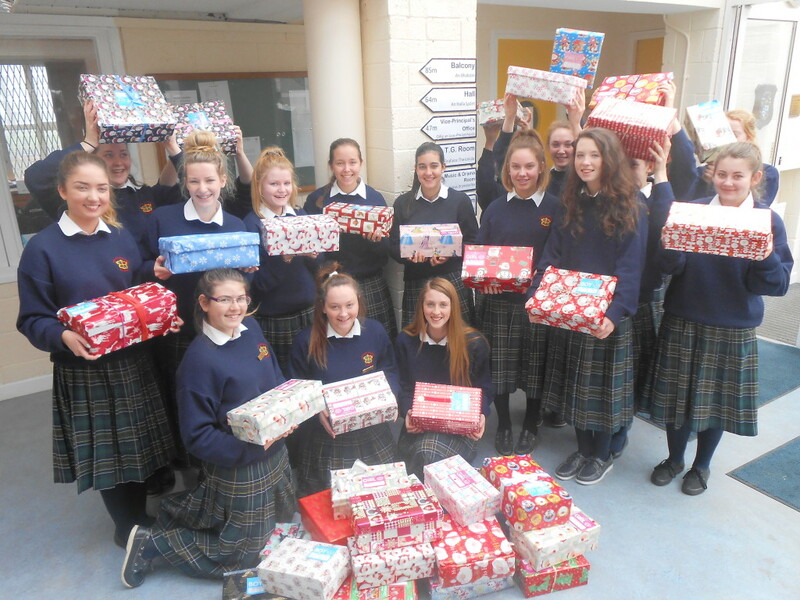 Shoe Box Appeal December 2014 was another big success this year – well done to the students who brought in boxes and for all the students who helped organise the collection of same. 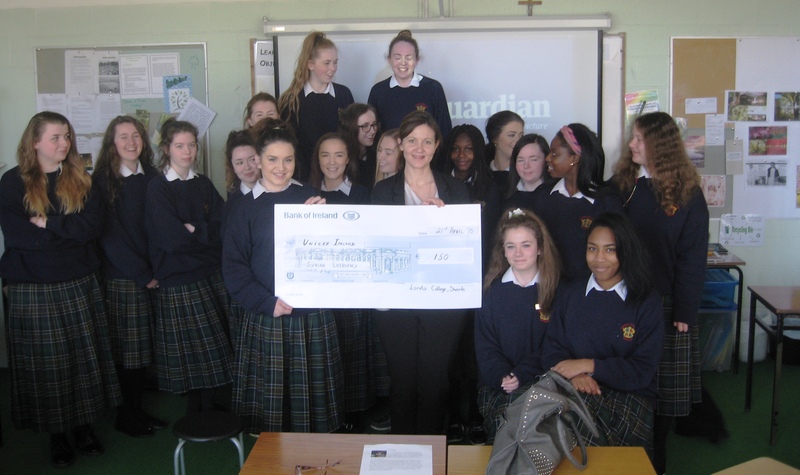 Power of Positive Thinking Week – March 2014 As part of Power of Positive Thinking Week the school held a non-uniform day and raised €600 for Pieta House – the collection was organised by Ms Theresa Sheelan and the cheque was presented to Pieta House on behalf of the school – thanks to all the students who contributed to this cause. 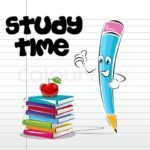 Loreto Rumbek is the first secondary school for girls in Lake State, a province of 40,000 square kilometers with a population of 350,000 in South Sudan, the Loreto order is proud to be a part of this wonderful step in education for females in Sudan. ‘Traditionally, in the Dinka tribe, a woman is valued by her cow value. She is rated by how many cows they can marry her for.’ Women are very much second-class citizens. 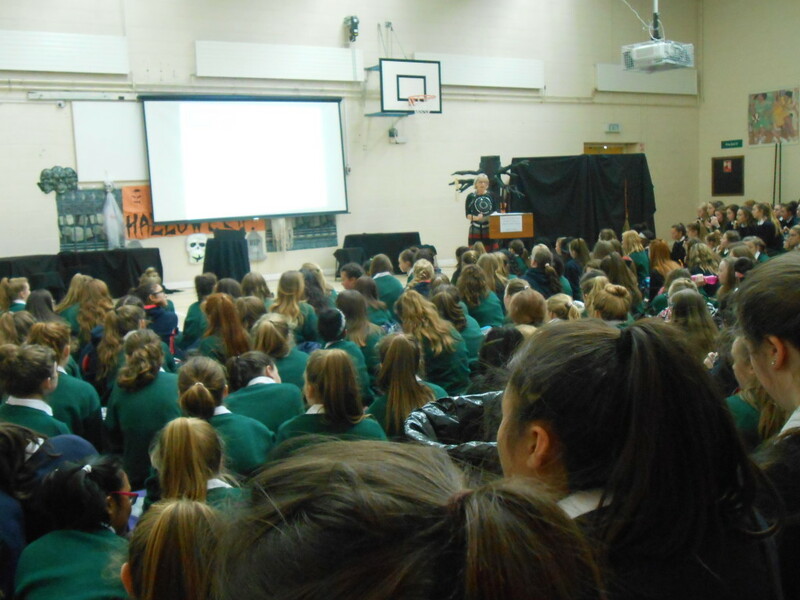 Sr. Margaret O’Shea gave a talk to all our students on Thursday, 31 January and gave an insight into the lives of those girls living in Sudan. 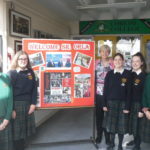 Loreto Swords has been fundraising for Rumbeck and a cheque for €4,000 was presented to Sr. Margaret who will be travelling back to Sudan in the coming weeks – thanks to all our students for their hard work in raising this fantastic sum of money! 18 – 20 Nov 2013 – The recent Typhoon which hit the Philippines is estimated to have killed over 4,000 people and left a further 4 million displaced from their homes. 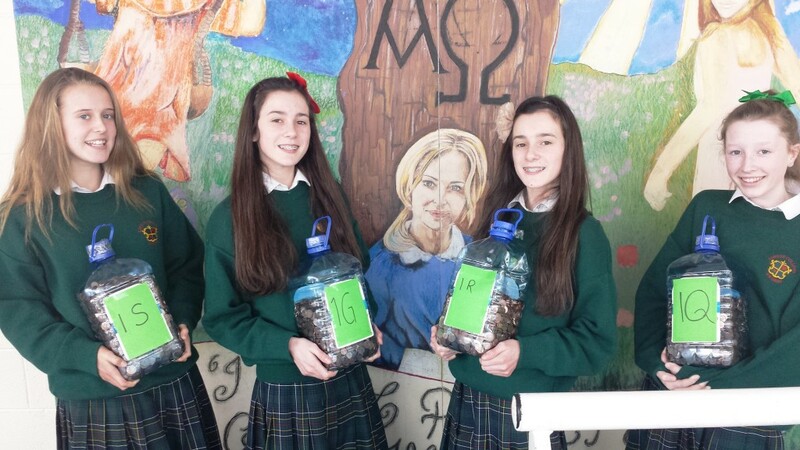 Here in Loreto an impromptu collection was made to raise some funds for this devastated region – thanks to those who supported the collection and to the students who organised same. 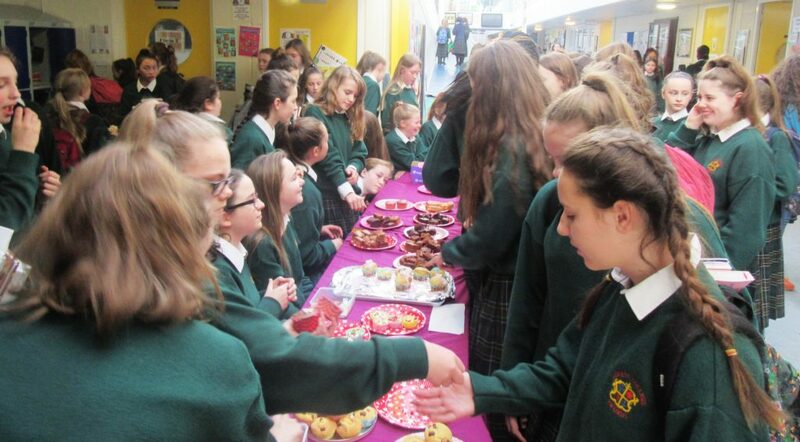 In addition to the collection a coffee morning was held by the Staff – over €1,300 was collected during the week and it was down to the generous spirit of the whole school community which made it possible. 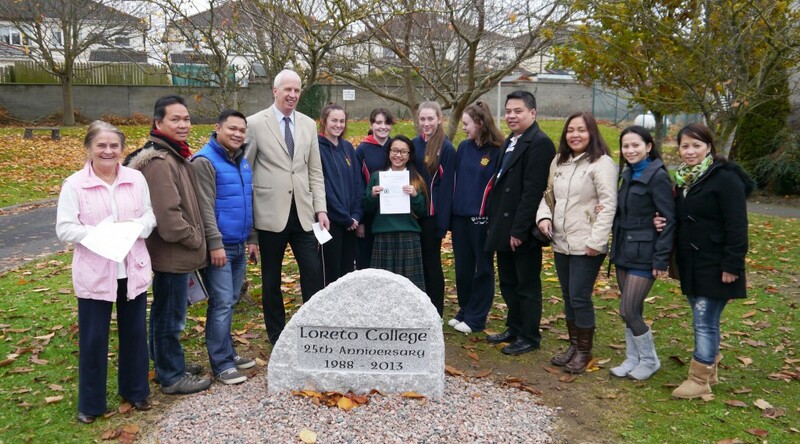 A Cheque was presented on behalf of the school by Mr Michael Behan to members of the Filipino Community for the Philippine Red Cross. 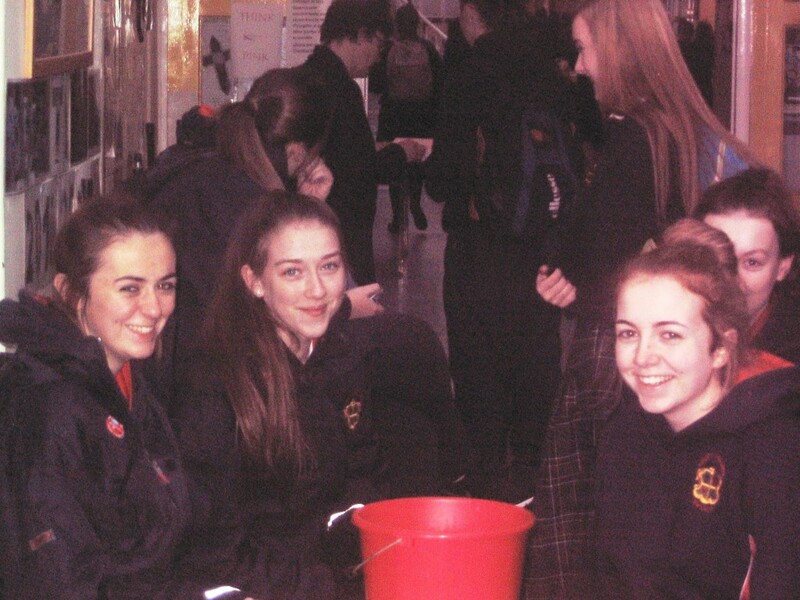 Loreto College, Swords takes part in various Fundraising activities during the year. 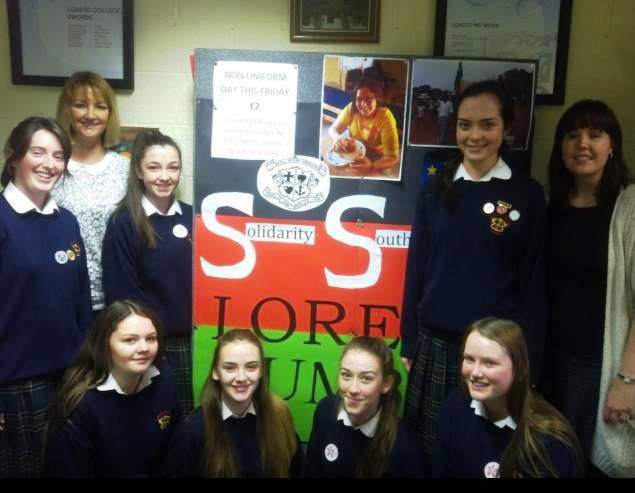 For the Academic Year 2013/14 Loreto College, Swords has chosen Loreto Rumbeck in Sudan as one of the organisations we will be supporting. Sr. Margaret O’Shea who was on the teaching staff last year has gone to Rumbeck this year. 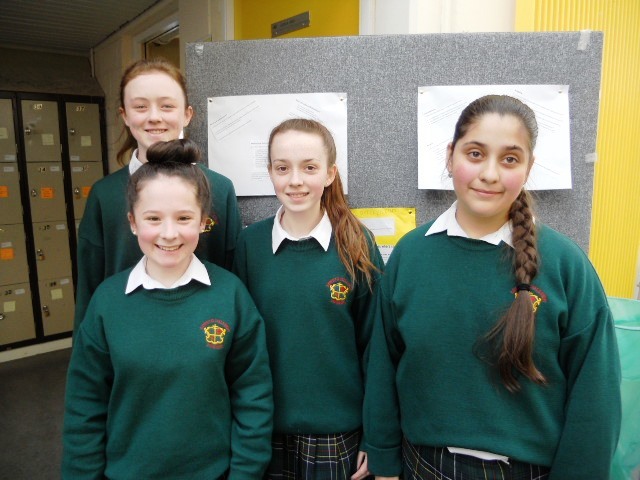 A non-uniform day was held and the amount raised was in excess of €1,110 – many thanks to all the students who contributed €2 and to the students and staff who collected the money. 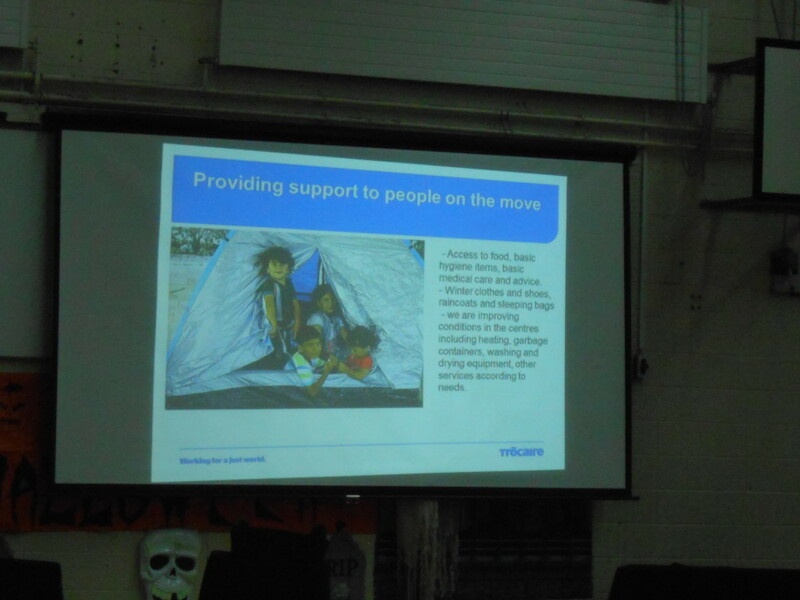 Click here for more photos of the organising group. Check back for further updates during the year. 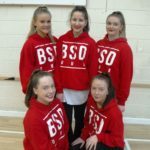 Copyright © 2019 Loreto College Swords.